With the unique distinction of being a Solicitor since 1976 and a National Association of Estate Agents qualification there is simply no one in Chester with Duncan’s property experience. His Public experience as Acting CEO, Director of Law, Director of Development and Director of Highways has given him extensive knowledge of conveyancing, Estate Management, Housing standards, Planning Rules and Building Regulations. His estates and property experience includes many housing, residential and commercial developments. That experience is of real value to buyers, sellers and landlords, heading off problems before they happen. Duncan believes clients should benefit from the best possible performance standards, learnt from his roles as a Best Value Inspector assessing the quality of public services and a Law Society National Monitor of the training standards of Solicitors. 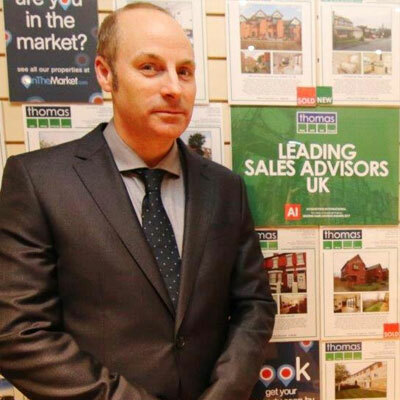 Enthused by working in the family estate agency as a Director, Duncan gets great satisfaction from the steady growth of the family Company as a Rightmove Bestselling agent and market leader including the most let and sold portfolio in Chester and North Wales. A Co-Founder of this award winning Family Company, Stuart’s National Association of Estate Agents qualification and degree in Business Management and Leadership provide the perfect skills as a Director of this hard working and caring Agency. Our technical expert, he has implemented our bespoke property software, computer designed floor plans and drones for aerial pictures for audiences across the UK and across the globe. His systems present THOMAS properties in real time and analyse customer demand by monitoring on line viewers for each of THOMAS properties for sale. His photography skills remain an invaluable asset with many sellers absolutely delighted with his sales particulars presenting their home to best advantage. Many sellers have chosen Thomas Property because of the high quality presentations. With his skills available in house and on tap, each day is never the same - the variety that comes with his role is fantastic. But not content with these technical challenges, he really enjoys meeting the clients, seeing so many well-presented homes and advising on subtle improvements to ready a property for the market. A key valuer for sales and probate he is fair and sensible in his assessments. He is only happy when the client is happy, seeking to get the best price as efficiently as possible utilizing our leading and unique THOMAS marketing and customer services. No home is too big or too small for him - the same enthusiasm always applies. In his spare time he enjoys taking photographs especially when deep sea diving and countryside walks with friends and family. Wherever he is, Stuart’s focus is always to give his best service while growing the family Company he co-founded all those years ago. Martin Thomas has a passion for Business achieving an impressive array of Degrees at Auckland University in International Business Studies, Hull University in Business Management, and an MBA in Business Management at the University of Liverpool. Martin is also a member of the Chartered Institute of Management. Recognising the need for wide ranging business skills, his commercial experience started with the demanding standards of Sony International. Working within the Marketing & Promotions team at Columbia Records he organised high profile and successful record launches, Radio 1 and TV shows. Invited to apply for the Graduate Scheme at ASDA, he was selected to participate in the management team opening ASDA’s new and largest European Flagship store. His reputation took him to ASDA to head office where he worked alongside board Directors and was mentored personally by the CEO. Martin gained invaluable experience in business and people development to add to qualifications. Recognising the opportunity to use his knowledge to help to build a successful, modern Estate Agency he joined the Family Company at an early stage of its development. His versatility, business acumen and drive were fundamental to him to developing the Lettings Agency. His pro-active, friendly and approachable team have let twice as many properties in Chester as any other Chester letting agents for the last few years. A feat recognised by the award of BEST LETTINGS AGENCY-CHESTER. He recognised the opportunities in the New Homes market as key area to Landlords and investors. Martin is part of the Director Team working with major developers advising them on developments and sale values across the UK. 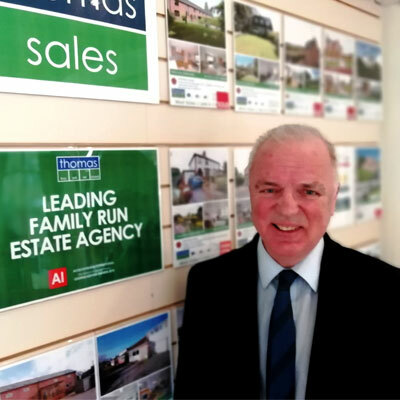 To offer investors a wider choice he developed Thomas Investments, providing wide ranging investment opportunities in Chester, the UK and internationally with high net returns of up to 10% a year and 125% contracted buy back from the developer. Martin and his Investment and Lettings Teams and the Mortgage partnership deliver a cogent service to help a wide variety of Landlords and investors create a balanced and profitable property portfolio in an ever evolving market. In his spare time he keeps fit by playing football, golf and enjoys spending time with family and friends, especially if it includes a spot of sea fishing! 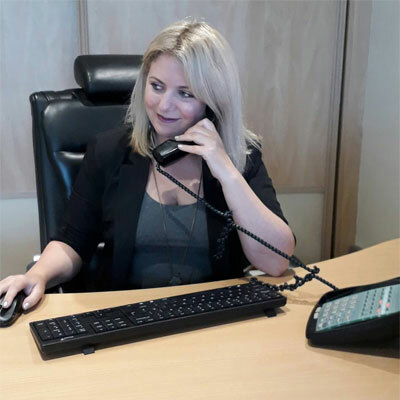 Rachel’s property career started before Thomas Property Group opened the doors 15 years ago after achieving degrees in Media Writing, Television and Video Production and Business Management and Leadership Skills. These achievements were fundamental to the development of high quality customer care and satisfaction. As Sales Director she does viewings and valuations personally, achieving many recommendations and regular repeat business. A keen negotiator, she seeks the best value for her customers and ensures efficient sales progression. It is a demanding role requiring tact and diplomacy. Customers rely and trust Rachel to help them throughout the process. Her key objective is to give the customer as smooth a transition as possible. Customers love her passion, with many unsolicited testimonials repeatedly placing Thomas at the top 3 of 62 agencies throughout the area. Rachel and her Thomas Sales Team are proud to have recently achieved the LEADING SALES ADVISOR 2017 UK AWARD. She enjoys advising developers on new developments and house sale values whilst being caring and sympathetic when providing probate valuations. Living in the community provides an in-depth knowledge of the Chester and North Wales environments, Including locations and local facilities and services. Recognising her friendly but professional approach, she has presented in ‘A Place In The Sun,’ ‘Escape To The Country’, ‘Location, Location, Location.’ Appearing in ‘Beat My Build’ she won the home owner £5000. Thomas sold this property at the asking price within a week, achieving £20,000 more than other Chester City Agents in the show. For 13 years, since the start of the Community Magazines the A41and the Gowy, many people have enjoyed her wit and advice in her monthly column ‘Thomas Talk’ reaching over 10,000 local residents each month. Rachel enjoys her role representing Thomas Property Group in support of local charities, community events and sponsorship for worthy causes. In her spare time Rachel enjoys walking her dogs, socializing with family and friends, Archery and just enjoying nature. Rachel’s personality is key to the growth of Chester’s Leading Family Estate Agency.